This is a niche game – that’s really the long and the short of it. Are you a fan of anime, cute anime girls and gaming references, plus able to stomach low-quality graphics and an uninspired story? Then you may enjoy yourself here. Everyone else. you’ll find nothing here for you. Long story short (ok, it’s more like ’short story even shorter’) the lead characters from the first game – which I never knew existed until this one came along – are captured by some big nasty. They were apparently goddesses called CPUs, and it’s now up to their younger sisters, who are CPU candidates (is that like something Intel is cooking up? Core iBishoujo?) to rescue them and restore order to the and of Gameindustri (yes, that’s the name of the world) from some megalomaniacal force. 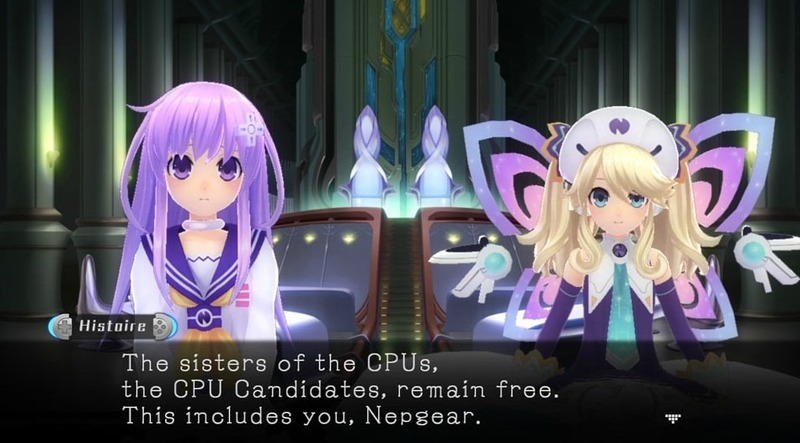 You, as Nepgear (a play on the Gamegear, and sometimes called GG for short) must go and round up the rest of the CPU candidates to save the world. This isn’t far from your average JRPG plot, the likes of which you might have seen in an older Final Fantasy game. The catch here lies in the world being rooted in gaming/technological references and the abundance of anime ladies running around. I honestly stated the game by keeping a tally of male to female characters, and after reaching the second town I gave up with a girl/guy ratio of something like everybody to one – and the ‘one’ was a robot, so I’m not sure he even counted. The combat is a hybrid of the typical turn-based JRPG style with a Final Fantasy X initiative bar and a “Tales”series semi-open combat arena. You move your chosen character close to their foe, hammer the attack button, and then wait. The game gets slightly more complicated as you maneuver to keep damaged heroes safe and make it so enemies can’t hit more then one character at a time. 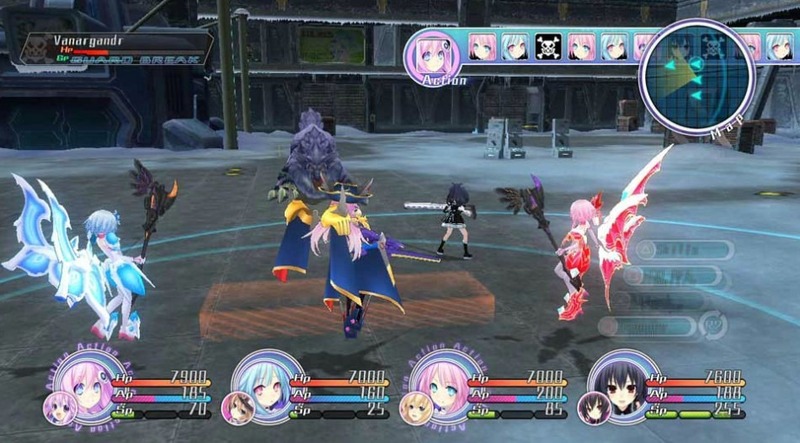 It reminds me allot of the Tales games (like Tales of Symphonia: Dawn of the New World, which I played a while back) in it’s presentation of combat but without allot of the fun. The graphics would be pretty good, if this was a Sega Dreamcast game, but it’s not – it’s a PS3 title. so it gets big demerits there. The audio is typical anime fare. If you’re a fan of dub work there’s an English track, and if you’re a purist there’s the original Japanese dialog as well. I don’t have many complaints with the voice work since it’s solid with it’s casting and performance for an average anime. It’s not high quality but wasting a superlative soundtrack here would almost be a crime. The story is told through cut scenes with two characters facing the screen with text beneath them. 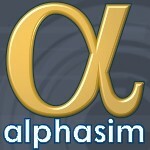 Sometimes the text is voiced, sometimes it’s not. Sometimes the characters are 3D models, sometimes they’re 2D sprites. The devs really went to every length to save work here, as oftentimes something will happen during dialog, like someone being attacked or another event you’d kind of think you should see, and the game either shows you the characters staring blankly and talking about it, or the screen actually goes blank while the characters talk about it. What the heck?! In case I’ve not made my point, this is budget game targeted at a very specific audience, as listed at the start of the review. Fortunately I am in that audience, so got some enjoyment out of this. For most people though this isn’t a tangent worth taking. Save your money. You can rent some anime and make gaming references yourself for far short of the price of this title, and you’ll probably have more fun. Bah, I hate it when they do cutscenes like that. It just kills the whole feel of the game IMO. Don’t think I’ll be getting this one. If there is a PS3 game I am going to get, it’s most likely gonna be the new Naruto game. i don’t know what that is with japanese people and “visual novel” style cutscenes ’cause they do that a lot, i always think it’s a cheap excuses to not having to animate everything, but maybe that’s just me. Yeah, if you want good anime, this isn’t the game for you. I know right. I don’t mind visual novel style if I’m actually following a visual novel (like Flandre’s Quest) but in big games… How about no. Reminds me of how they also have this in Blazblue. Nice game overall, but it could have been so much better if it had proper scenes instead of this stuff where only half is actually spoken. Also, I dare you to try and pull off something better with sock-puppets.